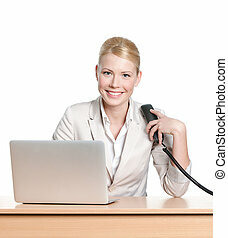 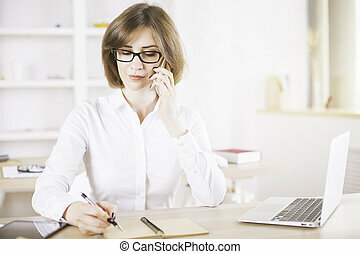 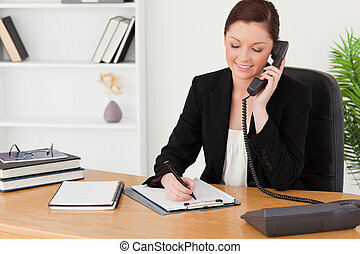 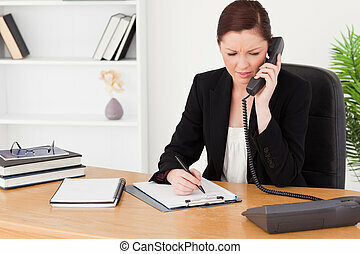 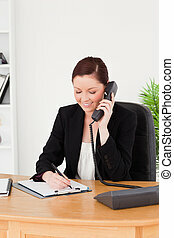 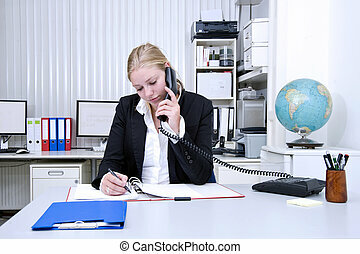 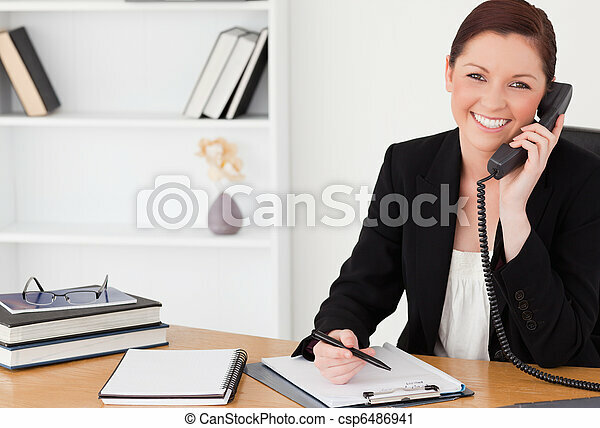 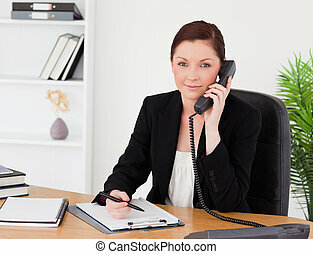 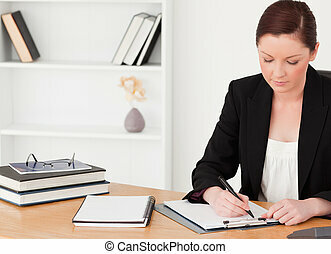 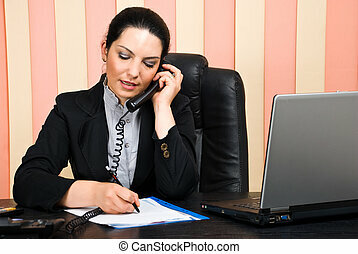 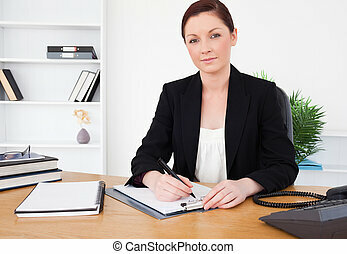 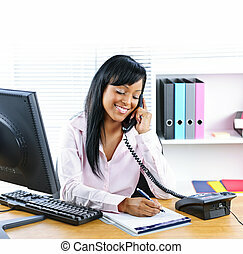 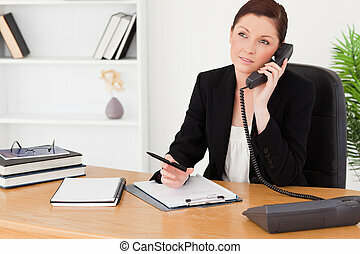 Pretty red-haired woman in suit writing on a notepad and phoning while sitting in an office. 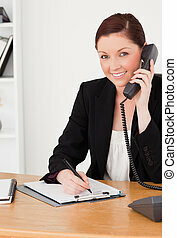 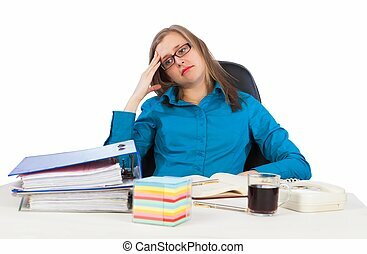 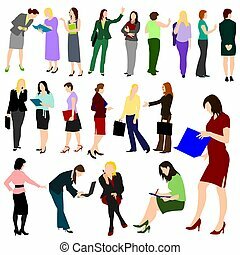 Young businesswoman has too much work to do. 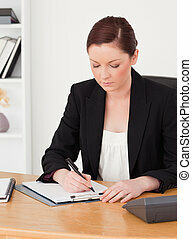 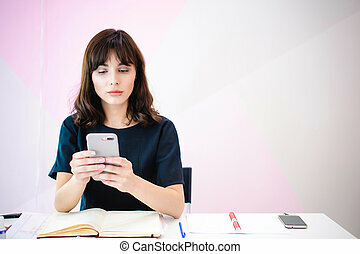 Young businesswoman concentrating on her work. 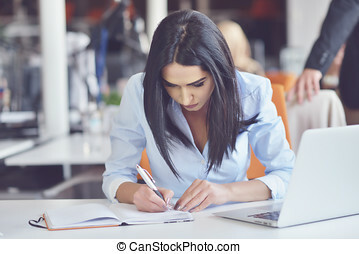 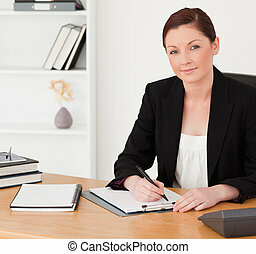 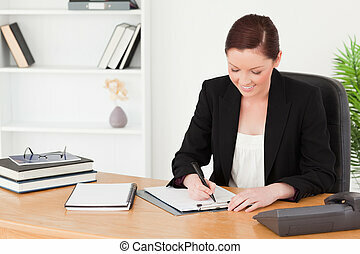 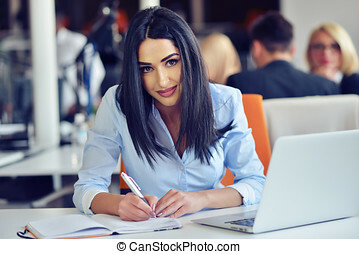 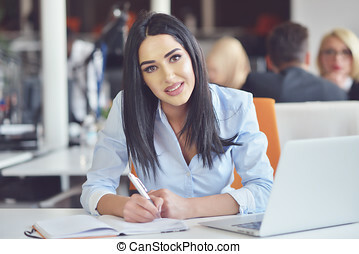 Pretty girl in a gray suit strict business sitting with a notebook on her lap and looking thoughtfully with a smile to the side, past the camera. 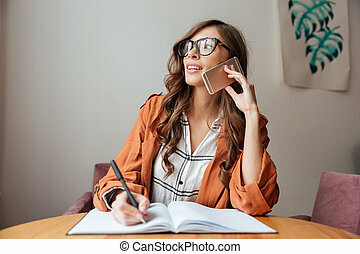 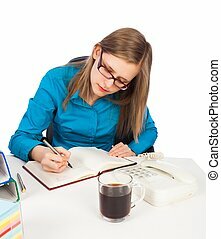 Portrait of pretty businesswoman working in the office and looks busy while making a note on the notebook.